At the conference in Shenzhen, China, Microsoft said that it would roll out Windows 10 in 190 countries and 111 languages—a fairly comprehensive worldwide launch. A number of Chinese partners will participate, including Lenovo, which will manufacture Windows phones—though just for China and China Mobile, it appears. Intriguingly, Microsoft also said that “a select group of Xiaomi Mi 4 power users will be invited to help test Windows 10 and contribute to its future release later this year.” The Mi 4 is an Android phone—could this be the next third-party Android phone to be ported over to Windows, following the HTC One M8? 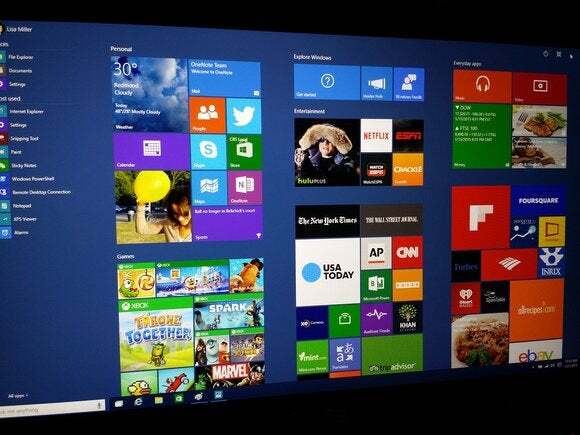 Still, it’s a slightly better idea of when users can expect to see Windows 10. At a financial conference in December, Microsoft chief operating officer Kevin Turner had said “late summer and early fall” was the “plan of record” for when Windows 10 would ship. Why this matters: Free upgrades. New browsers. Microsoft isn’t messing around this time. It’s steadily dripping out news to prime the pump for the Windows 10 launch. The company needs a flood of upgrades to ensure the operating system’s success—and all the company’s plans for universal apps, mobile devices and more. Terry Myerson, the executive vice president in charge of operating systems for Microsoft, recapped some prior Microsoft announcements for WinHEC attendees, including plans to deliver a free version of Windows 10 for Internet of Things devices, such as the new Qualcomm DragonBoard 410C. Myerson also introduced Windows Hello, the new way of logging into Windows 10 with your eye’s iris, your fingerprint, or your face. Chinese hardware makers and service providers will provide their customers with special assistance in upgrading to Windows 10. Lenovo, for example, said it would help customers upgrade at its 2,500 service centers and retail stores. And Tencent, the social networking company, said it would create a special upgrade pack for Windows 10 users. Tencent also said it would bring its hit games, such as League of Legends, to the Windows store, giving Microsoft’s apps marketplace a bit of cachet to offset the numerous casual games that currently populate it. It’s unclear whether Windows users will need the extra upgrade assistance, or whether Lenovo will provide the same upgrade assistance to American customers as well.